Pack of two! 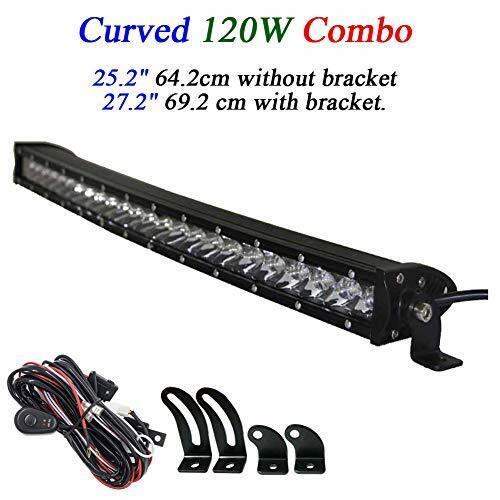 !Here are commercial 12 volt LED awning lights for exterior caravan, camper trailer, motor home, marine, yacht, boat and other vehicles. Equipped with advanced LEDs technology, there is no glare causing any eyestrain. Power consumption is 3w, 0.2A to save your vehicle battery energy. 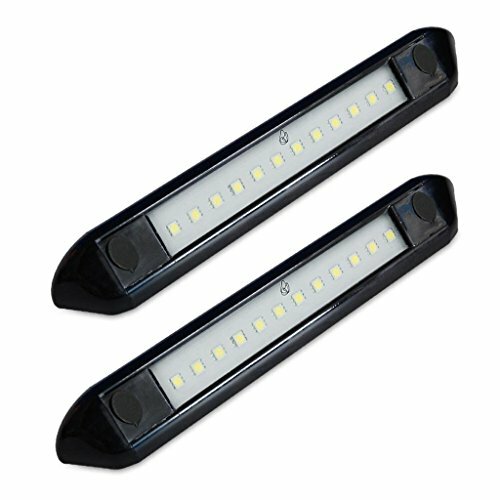 What's more, this awning light has IP66 waterproof rating for good performance in outdoor condition. Without energy waste, unique 40 degree downward lighting design focuses illumination. 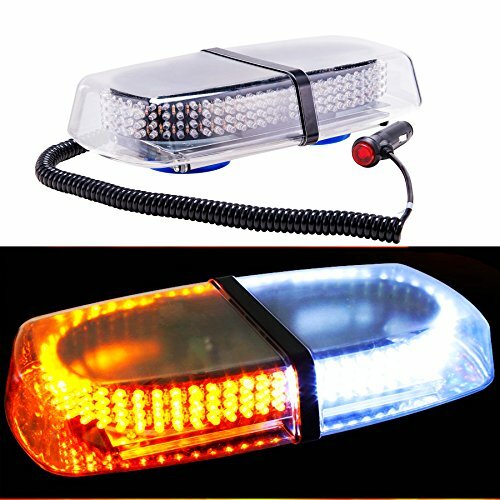 Ideal exterior LED lighting for vehicles! 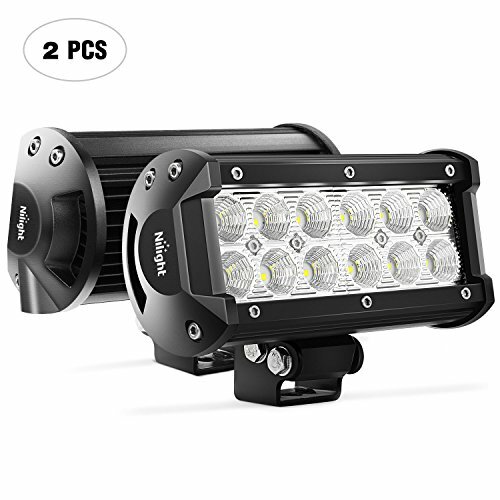 Specifications Volts: 12V DC Wattage: 3W Current draw: 200mA Lighting color: cool white Luminous flux: 190 lumens Lighting angle: 120 degrees Waterproof rating: IP66 Housing: black Dimension: 9.84 * 1.18 * 1.6 inch / 250 * 30 * 40.5 mm Features A. 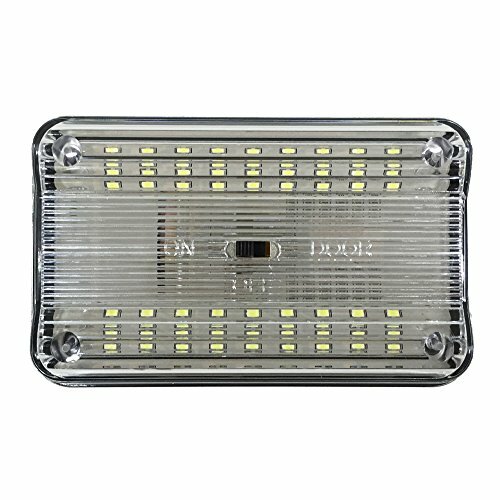 40 degrees downward illumination B. Silicone sealed LEDs: Great lighting transmission C. IP66 waterproof rating: Resistant to water, dust, moisture ingress D. Efficient heat sink: Light performance is more stable. E. No attraction of bugs and insects F. Surface mount designs for easy installation. Mounting screws are included. G. Long lifespan up to 50,000 hours H. Wiring: Black wire for positive, White one to negative / ground. 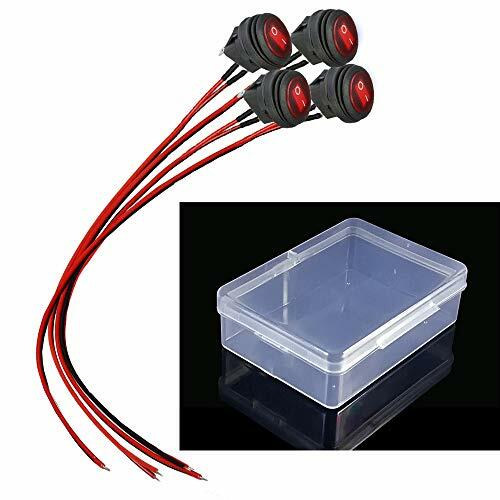 These lights could act as ceiling dome light, car door lamp, cabin pancake light, porch light, interior utility light for RV, camper trailers, caravan, motor home, 5th wheel, truck, bus, boat, marine and other vehicles. It has a small body to fit the narrow places well. With On/Off switch, it is easy to control. You don't need to buy an additional switch. Adopted finest LEDs, it emits bright light with low power consumption. When you're in travel, this would be great to save the vehicle battery energy for camping. 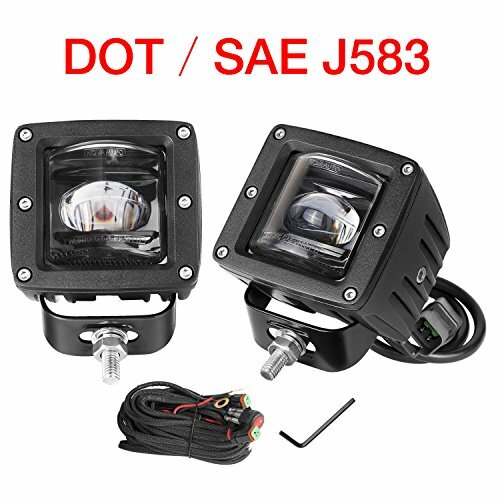 Specification: Working Voltage: 12 volt DC Power Consumption: 5 watts Flood beam: 120 degree CRI: 80 LED chips qty: 36 SMD Mounting: surface mount Lens: clear Dimensions: 4.3*2.7*0.86inch / 11*7*2.2cm Content: 1 dome light and mounting screws Installation (WIRING INSTRUCTION) 1. The working voltage of this light is 12 volt DC. Cut off the power 2. Get the original wire through the center hole of the base plate, and make it fixed with screws. 3. Wire the light. (red wire for anode, black wire for cathode, yellow wire for door lamp) 4. Fill the rest down-lead in the ceiling. Insert the main body. Glide and inlay to make it fixed. OFFROADTOWN is committed to providing innovative technologies & always guarantees a quality product. 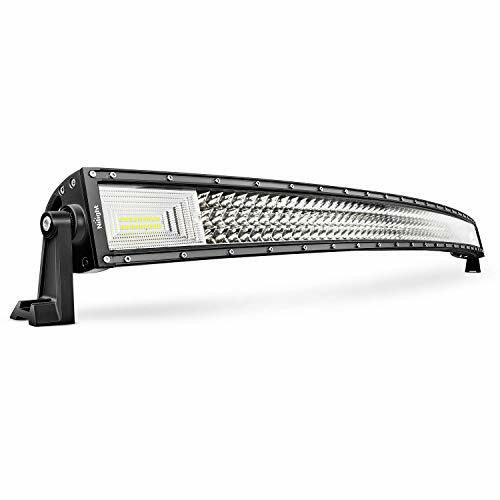 Our primary goal is to design and manufacture the best forward projecting and auxiliary LED lighting products to protect your life. 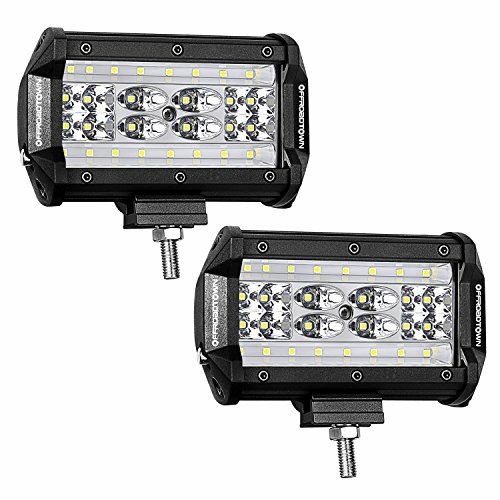 FEATURES -Quad row, more LEDs -Powered by premium Osram LED - efficient, powerful -Die-cast 6063 Aluminum Alloy Housing for Heat Dissipation -Shatter Resistant Polycarbonate Lens LIGHT PERFORMANCE(PER LIGHT) -Raw Lumens: 8400 lm -Lux @ 10 Meters: 3325 lx -Candela: 335,500 cd -Combo Beam: 30 degree Spot & 150 degree flood -Beam Distance (Meters): 528m SPECIFICATIONS(PER LIGHT) -Wattage: 84W per light -LED Source: OSRAM -Color Temperature: 6000K Super Cool White Light -Voltage: 9V-30V -IP Rating: IP68 -Product Dimensions: 5.12*2.5*3.12 Inch -Life Time:Over 50,000 hours PARTS INCLUED IN PAIR PACK -2pcs 168W 5'' combo LED pods -Adjustable Mounting Brackets -Hardware QUAD ROW LEDS, MORE LIGHTS FORWARD TO LIGHT UP YOUR ROAD QUAD row design provides two additional rows of OSRAM LEDs over standard dual-row bars, offering a big, bold look with unparalleled off-road illumination. 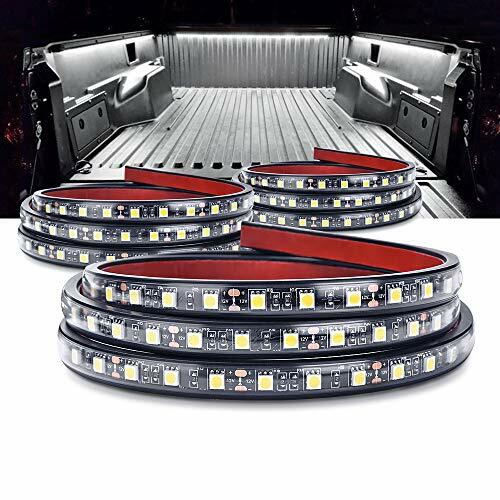 4pcs LED Car Trucks Motor Home Waterproof Flexible Strip Light Blue(30cm?